Bigatmo/The Rest/Why choose Bigatmo? Sunglasses for aviation and on the ground. Why choose Bigatmo? Sunglasses for aviation and on the ground. Bigatmo’s aim was to to develop a range of sunglasses that would in every way reach and/or exceed the needs of pilots whilst they were working in the flight deck environment. Any sunglasses that could handle the brief for the flight deck could handle almost anything at ground level too. 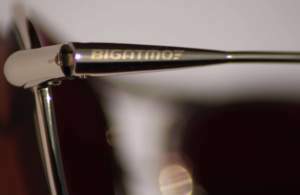 The founder of Bigatmo, himself a commercial pilot, enlisted the help of hundreds of professional jet line pilots during the initial 18 month development stage of design and production of a bespoke collection of sunglasses for aviation. At each stage these pilots were required to test and give full feedback on every element of the sunglasses; in fact this is our ongoing commitment. The pilots were asked to consider lens performance and frame comfort above all else. Armed with all of their valuable observations and experience we created an original range of highly technical light weight sunglasses. It soon became apparent that RX prescription sunglasses were also in demand by our customers. So a new phase to the Bigatmo brand has resulted in our ability to offer cutting edge prescription technology in both single vision and vari-focal lenses, across all styles of the Bigatmo collection of sunglasses. We offer free delivery in the UK, a no quibble returns policy world-wide and a 12 month manufacturer’s guarantee. Then why not give Bigatmo sunglasses a try? Bigatmo Sunglasses. Designed for aviation. Excel at ground level too.